So is it tooooo late in the year to make a new year's resolution? I just noticed the date of our last blog. I resolve to write more often. In our defense, though, we have a great reason. We are doing a STASH BOOK, the really cool ones that are published by C&T publishing. We finished the first draft yesterday. 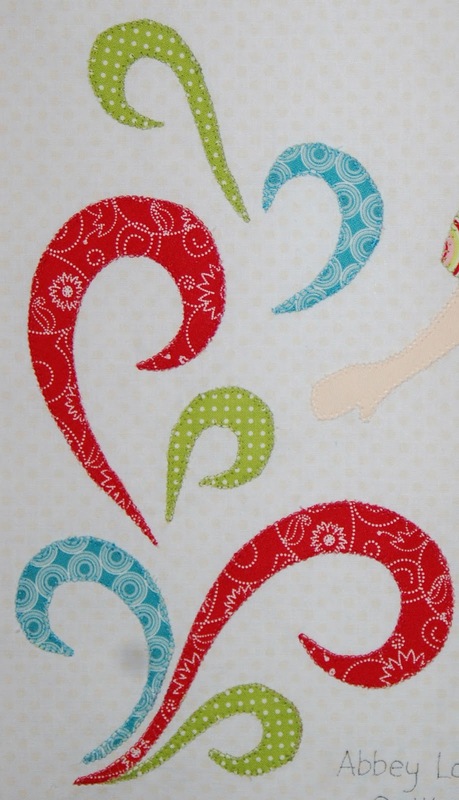 While that may not sound like a lot, it has 32 projects which we have had to design, sew and write the patterns for. Then we had to transfer it into a book language format. The projects all get shipped next week. It doesn't come out for a while though, so no more information for now. Just needed a good excuse for not writing. Now I have a great excuse for WRITING. We had an email from our friend Amanda Herring, The Quilted Fish last week. She has put together a fabulous idea for spring market which is in Salt Lake City, Utah. It is called ALL DOLLED UP IN SALT LAKE CITY, and it involves quilts and prizes and a whole lot of fun. 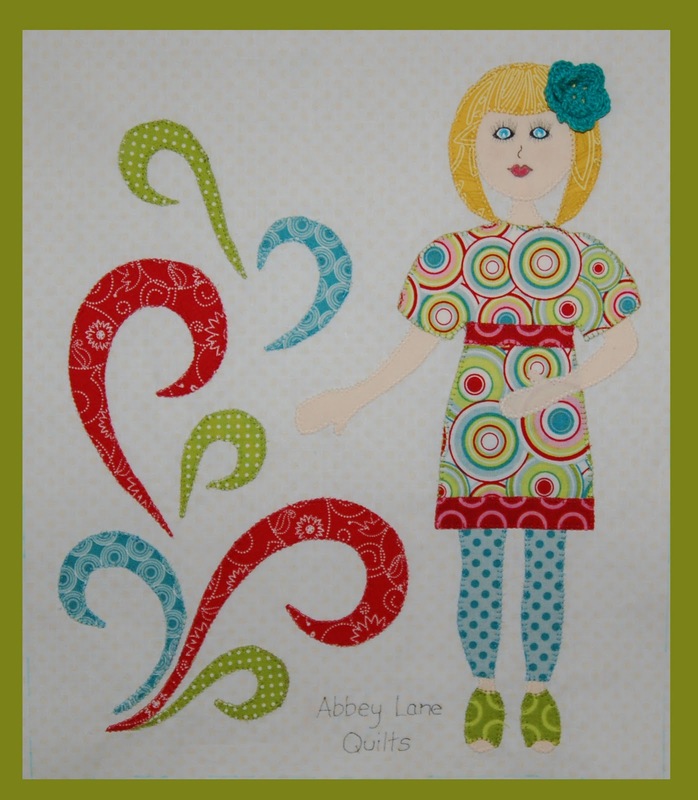 She invited Utah designers to take a basic paper doll template and using one of four Riley Blake fabric collections, create a 10" x 12" block. She had such an overwhelming response, that there are enough blocks to make two quilts. 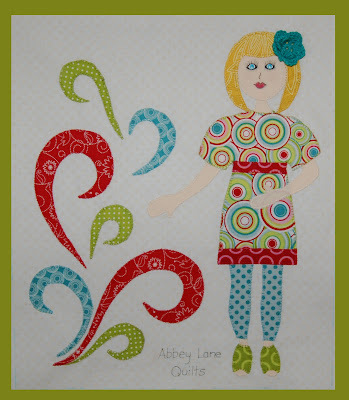 The quilts will hang in the Riley Blake booth. All the participants will also have their block in their booth, and here where the fun starts, yes, a BOOTH HOP. Get a stamp from all the participating designers, and you get a chance to win one of the quilts, or numerous other patterns and projects that each designer is donating. All the details and updates are found on a special blog, www.alldolledupinslc.blogspot.com/. There is also a list of all the designers with links to their blogs. So, now more justifying as my son would say. I got the fabric for the block on Friday, but because of the book, couldn't even start until Saturday. Amanda needed the block on Monday. Actually, she remembered that even though we are officially a Florida company, yours truly lives in the Beehive state. We are so glad she remembered us, even last minute. Not sure how long everyone else had, but i assure you there are some amazing blocks. I risked life and limb to get the block to Amanda's Monday. There was a huge snowstorm and I was stuck on the freeway in a blizzard during rush hour. It was worth it though, because I got a sneak peak at some of the blocks. Let me show you a couple of pics of our block. I used the Love Birds collection. It has beautiful bright colors. The doll is tall and skinny so I needed something to feel the space. Of course, what is more us than flourishes. She had to have blonde hair, of course. Now to the face. I painted it on, yes that is paint. I did try numerous clothing designs, but decided on this cute little dress, great leggings, and a fabulous pair of chunky green sandals. When it was done, I really liked her. It felt just like our style. I can just see myself running around in that little outfit, simple, but flashy. Now the fun starts. Checking out all the other designers blocks. Most of the ones I saw looked just like their maker and they showed off their interests and talents. 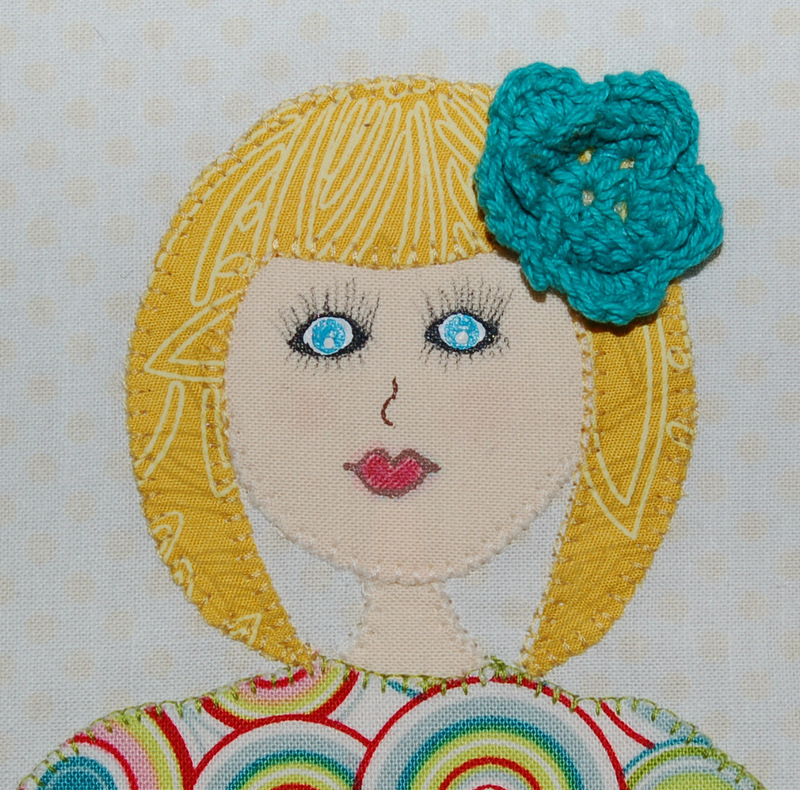 It was so fun to see so much personality and variety in a paper doll. Just can't wait for the finished quilts. I will start posting pics of some of the other dolls. If you just can't wait, head to the blog and see what your favorite designers have created. P.S. Not sure when, I think after market, the patterns to make all the doll blocks will be availabe free on each designers website. IT'S BEGINNING TO LOOK A LOT LIKE ??? ?